Ballet auditions are how EVERY single ballet dancer finds their way to become a professional. No dancer will continue through the stages, without going through the crucial process of auditions. If you want to become a professional and get the most out of your auditions, then listen up. Remember, PREPARATION is key! To find a job in ballet company can be very tough for ballet dancers. Nobody understands quite how hard it is, until you do it yourself. To land yourself a position in a ballet company, it takes a lot more effort and persistence than imagined. Ballet dancers go through their whole life auditioning: you audition to get a role in your next ballet production. You audition to get a place in a top school you so desperately want. And, finally, most importantly and most seriously, you audition to find a job for your future career. 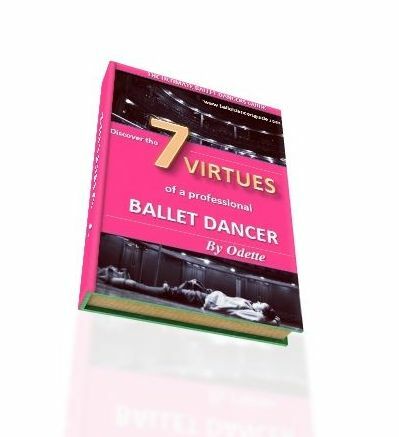 If you are dreaming to join a ballet company, or want to become a professional dancer. Then let me give you the last and final details to exactly what you would have to go through to do so. First, you really have to reflct on which company you are suited to. You have to be realistic with your own abilities and decide you could fit into the style of a company. You can watch the company dancers on youtube, videos, DVDs or performance and ask yourself - Am I up to their standard? Could I fit in with the dancers? You also have to create a dance CV to show all your experience and previous training. 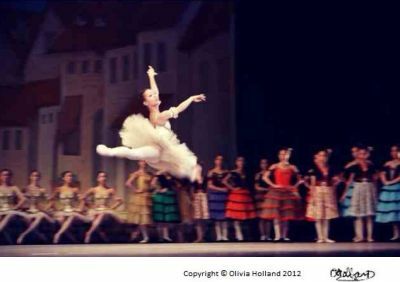 It should include a selection of photographs in different ballet positions, as well as a headshot. After this, you need to email or send a letter to the ballet companies you wish to audition for. You will find the contact details on the website and you should attach your CV & photographs with it. See what I mean about preparation?! You have to do all of this before even attending any ballet auditions. At this point, there are many ballet dancers who get rejected here. Yes, before the company have even watched you dance, they can judge first on appearance, experience and competition from your CV. If you are lucky enough to actually get a ballet audition, this is the next big step. You should know that ballet auditions can either be Open or Private. An open audition can consist of over 400 dancers, so you can understand why it is such a tough procedure! 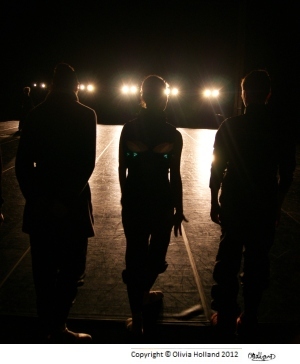 You can be invited to take a company class, which is seen as a private audition. If this is the case, it is important to confirm when you should arrive, where you should go and who to go to before the class. Be prepared! Whether you go to an open audition, or a private audition, remember that first impressions are everything. Make sure you represent yourself which includes your body language, your courtesy, your respect, your alertness in class... AND your work ethic! You have to bear in mind that not all dancers will be suited to every single ballet company in the world. It is nothing personal to you, but the style of the company and the director's choice. Remember, just because one place did not offer you anything, it does not mean that is the end. In fact, it could be just the beginning so DON'T GIVE UP! You can keep your eye out on the internet websites and dance magazines to keep you in the loop of the ballet auditions. A good one is 'Network Dance' and 'Dance Europe', which are both a MUST for every keen dancer. These useful sources will warn you of the dates, times and venues for upcoming auditions. Remember, the dance world is so small. The longer you stay in it, the more you realise... EVERYONE KNOWS EVERYONE! I know ballet auditions can seem like a never ending procedure, but you HAVE to persevere and be patient.